Fifteen million people are under stress in the United States, according to the American Psychiatric Association, and more than half of these are women. Traditionally women were solely in the role of the stay at home family caregivers, but the modern day woman often is in a position of balancing family obligations and her career, affecting the dramatic disproportion of stress between men and women. When under stress for prolonged periods, depression can develop. Even before the 20th century Hippocrates, the first physician, had a name for clinical depression brought on by stress--melancholia. Every year the issue escalates, with more people at increasingly younger age suffering from depression. So what actually is stress? Stress is the reaction from the body in response to external influences. For many women, stress is inevitable with the environment changing faster than ever before. Stress has significant impact on skin appearance, health and overall wellness, but there are effective ways to manage stress. There are different types of stress, positive and negative, both of which result in a change in the hormonal balance. Whether the stress is psychological or physical, it all amounts to a universal reaction in the hypothalamus in the brain initiating the production of cortisol steroid, a stress hormone. An example of a psychological trigger is fear, and physical examples include heat, cold, burns or poisoning. When cortisol levels increase, the immune system weakens and makes the body vulnerable to illness and other health related issues, including skin problems. Stress can bring on or exacerbate many skin issues like acne, eczema, rosacea, psoriasis, and cold sores. Many people who suffer from these different types of skin concerns, often become so distressed that they become locked in a vicious cycle, where their worries are a stress trigger. This is studied by the field of psychodermatology–how the mental and emotional state of a person is correlated to skin health and appearance. In the medical field, psychodermatology has been a growing field as more skin conditions are being linked to the psychological welfare of a person. Stress can cause the flare up of acne breakouts, hives, pigmentation, hair loss and skin dryness. It weakens the outer layer of skin, unbalancing the acid mantle that protects the skin from harmful bacteria. Consequently, cells shrink and the lipids between the cells dissolve making the skin more vulnerable to infection. Chronic stress or even a stressful event can instigate an autoimmune reaction. When there is a threat, it causes fear. Fear sends the body into a state of shock, which lowers blood pressure, causes hypoglycemia, hypothermia and almost immediately forces the adrenal glands to shoot adrenaline and noradrenaline into the blood. Consequently, the increase in heartrate, breathing and blood pressure forces a rise of glucose in the muscles, converting proteins in the body to glucose. The accumulation of glucose in the body sets the body in preparation to fight, hence activating the immune system and inflammation genes regulated by cytokines. The medulla of the adrenal glands reduces the stress reaction by stabilizing blood pressure with cortisol, which calms the immune system, heart rate and inflammation. If stress continues for long periods of time, the cortisol production in the medulla exhausts, causing chronic hypertension and a weakened immune system. The disruption in the immune system leads to many issues including arthritis, cellulite, acne and wrinkles to mention a few. Ongoing stress has the ability to damage chromosomes that make up DNA. Telomeres are located at the ends of DNA strands that function as a protective barrier for chromosomes. Recent studies reveal that chronic stress shortens the length and decreases the supply of telomeres. This accelerates aging, but researchers have also been examining the influence of stress on future generations. Scientist Elizabeth Blackburn performed an experiment in 2004 demonstrating that when the mind or body is exposed to severe stress such as a traumatic event, it causes changes in the genes. The ends of telomere chromosomes become shorter and accelerate cell aging. Epigenetics is the science of gene activity and regulation according to C.H. Waddington, who established the definition in 1957. Epigenetics causes genes to perform functions that they are not typically conditioned to perform, but without altering genetic code. Dr. Yosef Zohar treated patients with post-traumatic stress disorder, including family members of survivors of the holocaust. The family members exhibited fears that were passed on from a previous generation. Ultimately, stress related changes in the DNA were inherited by future generations. Stress has a powerful effect on the mind and body of a woman, but there are effective stress management methods. There are simple, straightforward ways of achieving inner balance, peace and lowering stress. Laugh. Laughter causes the release of endorphins by the brain, which elevates mood, boosts the immune system, and is great for lowering stress. Exercise. Exercise is another way of releasing tension from the body as well as contributing to improving overall wellness. Talk. Speaking with someone, even a professional if necessary, lessens the impact of stress. It creates a channel of release for the feelings and emotions that accumulate over time consequently from the stress. Sleep. Women have become quite skillful in balancing all the different aspects of their lives, but often it is at the cost of having a sufficient amount of rest. Sleep deficiency puts great strain on the mind and body. The amount of sleep necessary may vary among people, but an American Psychological Association survey showed that, “adults who sleep fewer than eight hours a night are more likely to report symptoms of stress.” Sleeping more is an effective remedy to lower stress. Deep Meditation. Continuous high stress can provoke illness and make the body susceptible to colds, infections, and diseases by activating genes that work to counter stress. Fortunately, research has shown that deep meditation activates gene activity and is able to alter them on a molecular level. Through meditation, genes that promote health and healing are triggered. Meditation has an anti-inflammatory effect, and it has the power to restore cortisol levels in the body. It promotes inner balance and peace, while helping the mind and body relax. Meditation is one of the most powerful opponents to offset stress. Probiotics. An unexpected remedy and best known for supporting gastrointestinal health, when in balance, probiotic “health friendly bacteria” can elevate mood and help better handle stress. As mentioned earlier, stress leads to internal inflammation, which over time can lead to depression. Probiotics also facilitate a reduction of inflammation in the body by sending signals to the brain that stabilize the necessary output of cortisol. They equip the body to better handle stress and correspondingly improve skin and total well-being. Stress has proven itself a growing problem among women with the ever-changing environment. Research reveals that stress left rampant, can have significant ramifications on a women’s health, appearance and mindset. The importance of achieving inner peace and balance is critical in order to positively influence the body’s DNA and boost vitality. Through appropriate stress management, nutrition and lifestyle choices, women can be empowered in the face of stress. 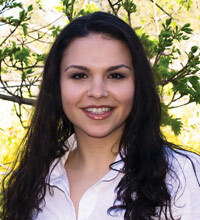 Victoria Tabak, L.E., MBA, is a licensed esthetician and president of Nature Pure Labs. She began her involvement in the beauty industry early in life and now has more than 18 years of experience along with a master’s degree in business, minoring in chemistry. For over a decade, she has taught classes on emerging breakthroughs in the anti-aging skin care industry and has inspired many.